What are the Characteristics for Modern Fireplace Mantels? The right fireplace mantel can really change the look of the room in your home or office. For a more trendy or up to date look, you may wish to look for a fireplace mantel that is more modern in design. Whether your furnishings are based on comfort or sleek designing and style, you can find a mantel to meet your design needs. 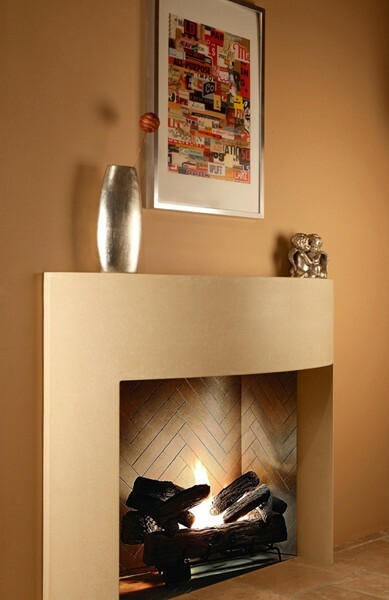 Modern fireplace mantels offer more of a minimalist appearance. Rather than focusing on intricate carvings and designs, the more modern mantels focus on clean and simple lines and geometric shapes. These mantels can be made out of a variety of materials that include stone and marble depending on the look you are trying to achieve. You can choose a modern design mantel in a variety of shapes from traditional boxy styles, such as squares and rectangles, to the more up-to-date and eclectic rounded or triangular styles. The modern appearance places appropriate focus on your fireplace without detracting from the overall feel and appearance of the room. The clean lines allow you to change the décor as you desire. Stop by our showroom of fireplace mantels in Los Angeles to see a large selection of fireplace mantels in modern styles to meet the needs of your home or office. If you cannot find what you are looking for, speak with one of our qualified design professionals who can custom build a mantel to meet your needs.